Read more about our successful business partnerships. In May 2007, Ball’s leadership team recognized disconcerting workforce and production trends that had serious impact for the future of its business. Ball teamed with TMG to develop a long-term Business Strategy (which spanned 3 years) that increased employee engagement, improved leader behaviors, and then, as a result, improved business performance. Aspects of the program included a Leader Performance Improvement System, First-Line Leader Training Programs with Electronic Performance Support Modules, a Team Scorecard, extensive Continuous Improvement Programs (Lean Six Sigma Training, RIE Facilitation, Enterprise-wide Value Stream Analyses), and multiple customized electronic services. In 2010, the leadership team at Cangene bioPharma (specializing in injectable pharmaceuticals) recognized a need to modernize its organizational scheme and train its workforce in integration with the plant’s expansion plan. TMG helped develop a strategic plan that would synchronize the team in such a way as to ensure Optimal business performance once the expansion went live. TMG successfully facilitated the quarterly executive team strategic planning sessions and development of their Bi-Annual Budget input. Within the first year of Army Fleet Support winning the Army Aviation Center’s Maintenance and Support Contract they partnered with TMG to facilitate and develop their Balanced Scorecard and Annual Operating Plans. TMG built the AFS FY 2007 and 2008 Business Plans which contributed directly the business success of AFS. The AFS contract is the largest OMA funded contract in the U.S. Army. TMG provided NNS with a proposed talent acquisition system that is aimed at revolutionizing the hiring and onboarding processes for the hourly workforce. NNS challenge was how to hire 10,000 new employees over the next 5 years without risking production, cost, schedule, quality, or safety. TMG facilitated a Lean Event with the HR staff, followed by development of a HR staff capacity analysis tool along with a recommended strategy with investment plan to accomplish the objectives. TMG provides many services in performance improvement, such as: Workforce Risk Analysis, Team Engagement, On-Boarding, Leader Development, and improvements in Production Skills. TMG partnered with ESCO to provide a Modernized On-boarding System, Production Skills Depth Chart, Common Skills Training, and Production Cell Training. TMG partnered with Aera Energy to provide a Workforce Stability Analysis, Leader Development Program, Coaching Program, and other aspects of a Performance Improvement System. In April 2008, the management team made a commitment to design, build, pilot, and rollout a system to address employee engagement, turnover, declining production trends, and poor leader performance. TMG developed multiple aspects of a performance improvement program, including: on boarding system modernization, temporary workforce turnover mitigation, and a realistic job preview. TMG has partnered with BAE Systems at two locations, in both Norfolk, VA and San Diego, CA. Some of the Continuous Improvement activities that TMG has managed include Lean Six Sigma training for yellow, green and black belts, event planning and facilitation, Firewatch training system development and implementation, Enterprise Value Stream Analysis, and Rapid Improvement Events on Material Transportation and Temporary Services, and a Five S Program. Stihl and TMG partnered to facilitate Rapid Improvement Events, Continuous Improvement activities, as well as an on-boarding program modernization analysis and design. Together, TMG and Ball have implemented an extensive Continuous Improvement Program, consisting of Lean Six Sigma Training, facilitation of many Rapid Improvement Events, and several Enterprise-wide Value Stream Analyses. TMG’s work with Northrop Grumman was our first partnership and spanned five years with over 100 Task Orders. During that time period, several programs were developed, designed, and implemented that improved the organization’s workforce, and in turn, improved business performance. 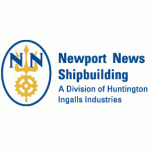 These programs were to modernize the shipyard’s welding school using systematic training methods, build a training program for the production trades, and to build a pipeline for new workers that would bring trainees from the community into Northrop Grumman’s workforce. TMG is supporting the development of the Army Learning Concept 2015 Persistent Learning Strategy. Simultaneously, we are developing, the Persistent Learning Capability Campaign Plan 2011-2015 requiring coordination staffing, and preparation of budget and annual Action plans to realize the Army Learning Concept 2015. TMG designed, developed, and built over one hundred computer-based production skills training modules for Army Fleet Support. TMG also created a Realistic Job Preview, built a Learning Content Management System and designed their Balanced Scorecard. TMG provided Alcoa’s Howmet Structural Casting facility with a comprehensive Process Capability Analysis and a Correlation Study of their Monoshell Process to determine which variables contributed to significant variation in products cast at Howmet. TMG also provided the Structural Engineering and Quality team with a fourteen week customized Six Sigma Black Belt course. Each participant was matched with a six sigma project during the training. TMG will facilitate the Busch Lean Six Sigma Team in the execution of four Process Mapping Events in order to support the CRM Implementation, provide Lean Six Sigma Black mentorship and training to the Core Team Members, as well as a certified Green Belt to assist in the data recording during the Mapping Events and will assist in the training of the Core Team Members. TMG developed a comprehensive system to reduce and eliminate OSHA Recordable Incidents, and Lost Time Accidents by leveraging Online OSHA Compliance Training to reduce overtime training costs and lower the financial impact on the plant. TMG’s training experts used the latest in Android App Technology to develop 5 separate Energy Solutions Training Packages to train soldiers to utilize the latest in solar power and alternate energy generating technologies for outlying operation bases in theater in order to sustain our fighting forces on the front line protecting our country. TMG developed a Talent Acquisition and Retention System to target Transitioning Service Members in order to recapitalize RockTenn’s workforce. The Pipeline included a fully documented and measurable system to track from generation of a labor requirement through 1st year retention of a fully engaged teammate. TMG was engaged to conduct a Vet Readiness Assessment at the Distribution Hub in Hazelton, PA as a pilot site to expand the Veterans Pipeline to locations across the country. TMG conducted an assessment to determine what level of effort is needed to prepare the organization to move to a fully integrated and modernized Talent Acquisition and Retention System. 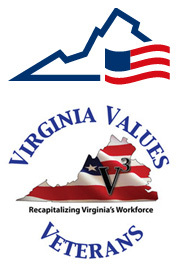 TMG was awarded a contract to kick-start the VA Values Veterans Program by conducting Vet Readiness Assessments for businesses across the State of Virginia. This resulted in a State Certification presented to Companies who adopted a modernized Talent Acquisition and Retention System focused on Veterans. TMG was also responsible for the planning and execution of the Virginia Values Veterans Conference, to educate Virginia employers how to hire and retain Vets. When the V3 Program kicked off in June 2012, until TMG finished the project, 564 Employers were trained, 167 Employers were certified, who pledged to hire 5,385 veterans. At the end of TMG’s tenure as the V3 Program managers, 3,099 veterans were hired in the state of Virginia as a direct result of this program.